Farhad Majidi, one of the most popular players in the history of Esteghlal FC, announced his retirement from football at the age of 36. Majidi was one of the best players of Tehran based club Esteghlal during the recent years. His great performance impressed many football fans in Iran and he became one of the most popular captains of Esteghlal. “15 years ago when I joined my favor club, Esteghlal FC, I couldn’t imagine my current position between Blues’ fans. At the age of 36, I’m still ready to put my bests for Esteghlal in the pitch. Being the former player and captain of Esteghlal is an unforgettable honor for me. At this moment I want to announce my retirement from football.” said Farhad Majidi on his letter to fans. Majidi also criticized Amir Ghalenoei over accusing him for the recent bad results of the club in Iran Pro League. Majidi started his youth career in Bahman. In 1995 he was picked up for the senior squad. He first joined Esteghlal in 1997. 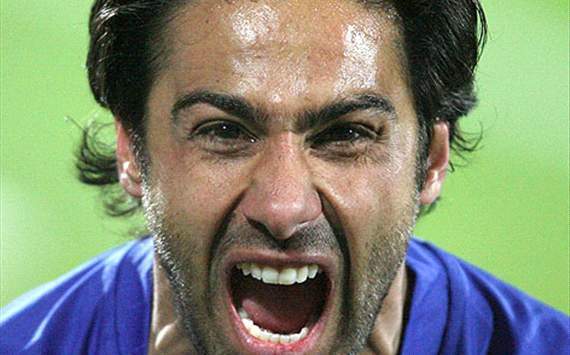 In 2007 Farhad started his fourth spell in Esteghlal until 2012. There were some rumors linking him to Esteghlal for the new campaign but improper relationships with new head coach, Ghalenoei, stopped him from signing with Esteghlal FC.